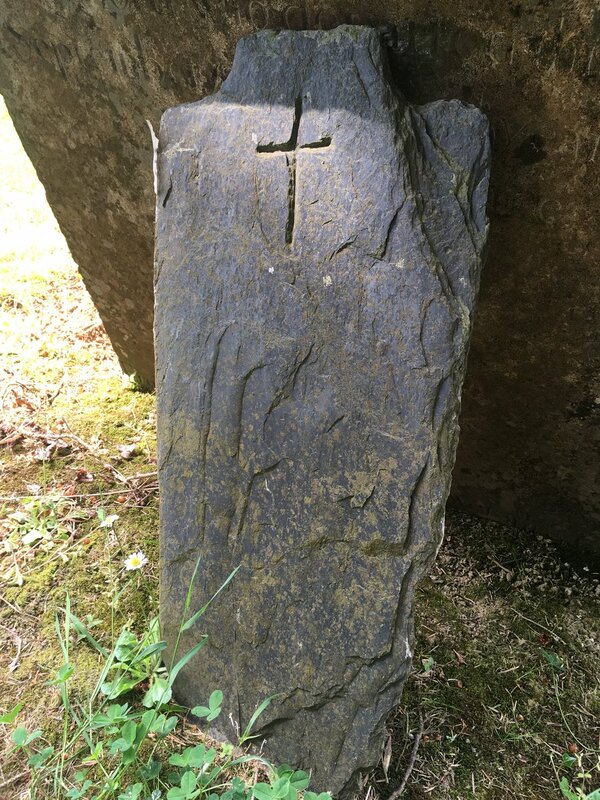 A footstone reclining in the morning sunlight at Newtown, Kilmacthomas. 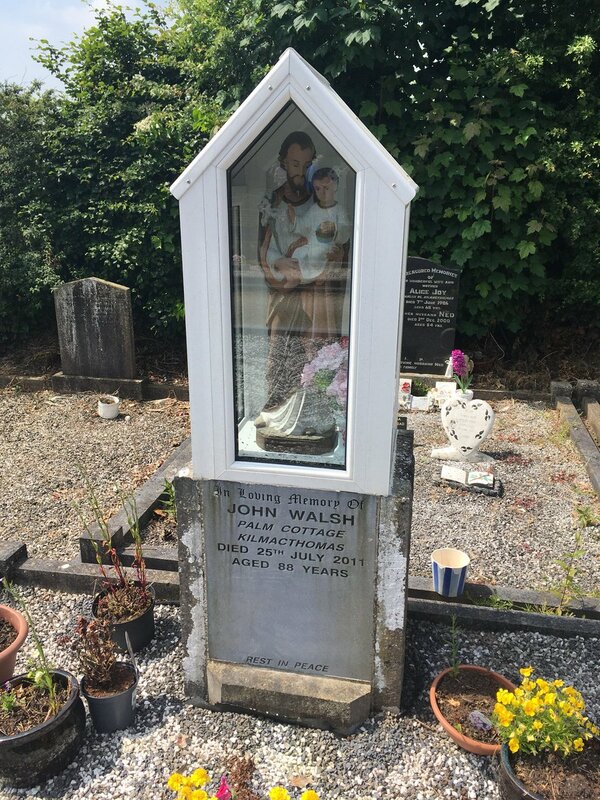 I believe a book is imminent on the history and heritage of the Waterford Greenway but rather than wait for that this blog post is about the graveyards and two burial grounds which are adjacent to the Greenway near Kilmathomas village. 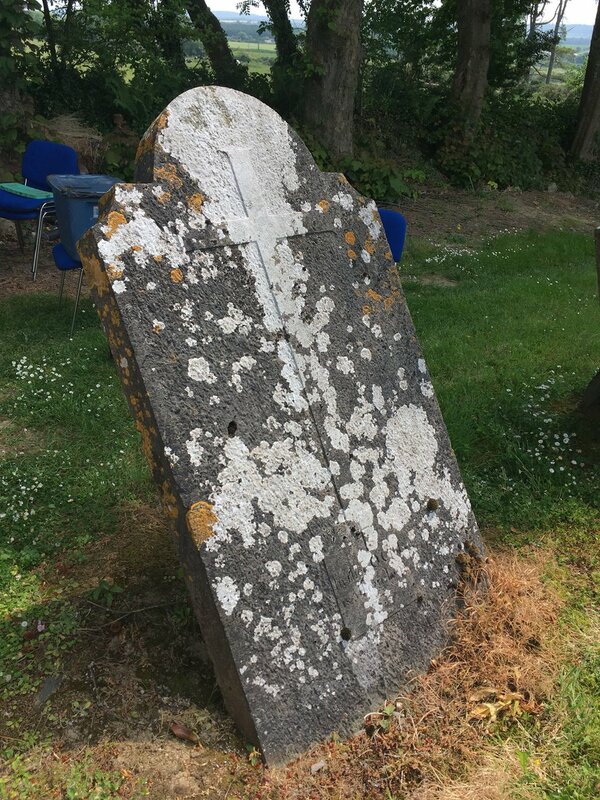 Thanks to a Heritage Council grant we surveyed All Saints Catholic Church Graveyard (over 500 headstones), the nearby burial ground in the Convent of Mercy and also the sparse burial ground of Kilmacthomas Workhouse burial ground. The Kilmac community turned out in such numbers that we broke an old record-recording over 500 headstones in two days. Built before the Great Famine All Saints Church looks similar to many of the large barn-like churches in Co. Waterford but it is differentiated by an attached residence for the parish priest at the back of the church. During the survey one lady recounted staying in the priests apartment when caring for an elderly relative. She also remembered being told that one section of graveyard, against the S boundary, was reserved for children’s burials. However, I was unclear as to whether this bit of ground was considered unconsecrated or not. Other themes which emerged in discussion with this community were 19th century land agitation and mining heritage. 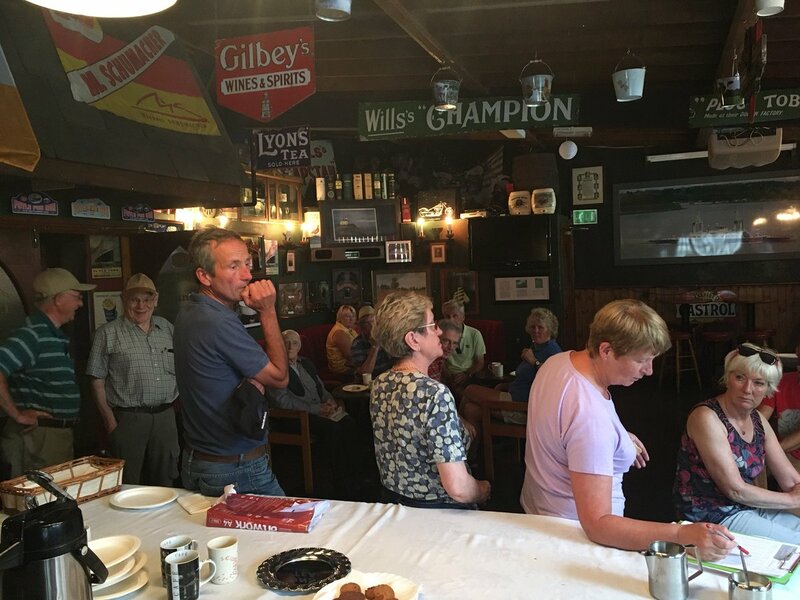 A number of local families having been involved in the mining operating in Bunmahon 10 miles to the S.
An interesting range of grave monuments were recorded and a selection we presented here. 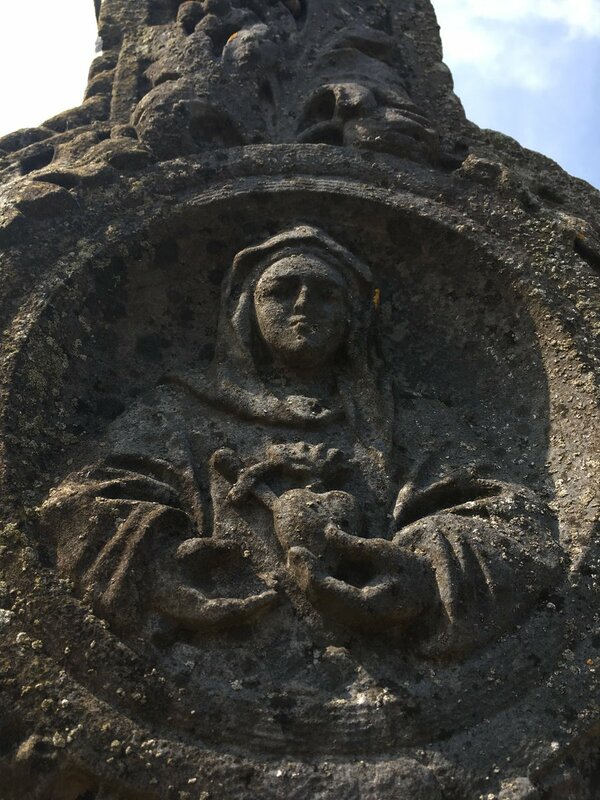 This survey was kindly funded by the Heritage Council of Ireland and was also part of the Historic Graves Project’s involvement in the European Year of Cultural Heritage #makeaconnection #EuropeforCulture.